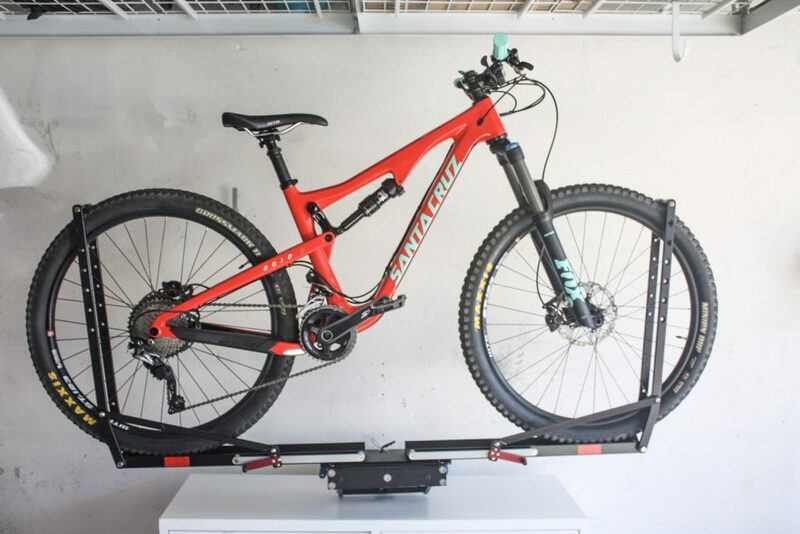 How to Store a Mountain Bike: an easy and helpful guide to properly store your full suspension mountain bike using a hitch mounted bike rack with a wall mount. This post may contain affiliate links. If you purchase something through one of these links, there will be no extra cost to you but we will receive a small commission. Thank you for supporting us and helping keep the lights on at Scout HQ! The winter season is in full swing and for many that means storing your mountain bikes away until the spring. Fortunately for us Californians, it’s January and today’s temperatures were a frigid 72 degrees, so we’re lucky enough to ride year-round and only have to worry about mountain bike storage in the garage between rides. Then you have the East Coasters have to worry about storing a mountain bike for the winter season. Like most cyclists, my bike represents a portion of my net worth, and I wouldn’t intentionally do anything that puts a damper on its performance. You’ll find this topic highly debated in many forums-how to properly store your mountain bike. Some suggest hanging them by the front or rear wheel or even upside down and claim to have no issues. If you have hydraulic disc brakes, the recommendation is that you never hang them upside down or vertically. When you hang the bike upside down, the air bubbles inside the reservoir tank could move to the calipers. This would affect the performance of the brakes until the air goes back to the top of the reservoir, something that may require a brake bleed to correct. In other words, if you enjoy the braking feature on your mountain bike from time to time, don’t do anything that might affect the way they work. I’m not someone who services their own bike (yet) so I follow any tips that potentially keep my baby out of service with costly repairs. When we aren’t using our bikes, we aren’t using our bike racks. Some of us have to worry about keeping a 2, 3 or 4 bike carrier out of the way when not in use. They aren’t made to stand on their own when they aren’t mounted in a hitch, so they end up just being something we have to constantly maneuver around or trip over while taking up valuable floor space in the garage. 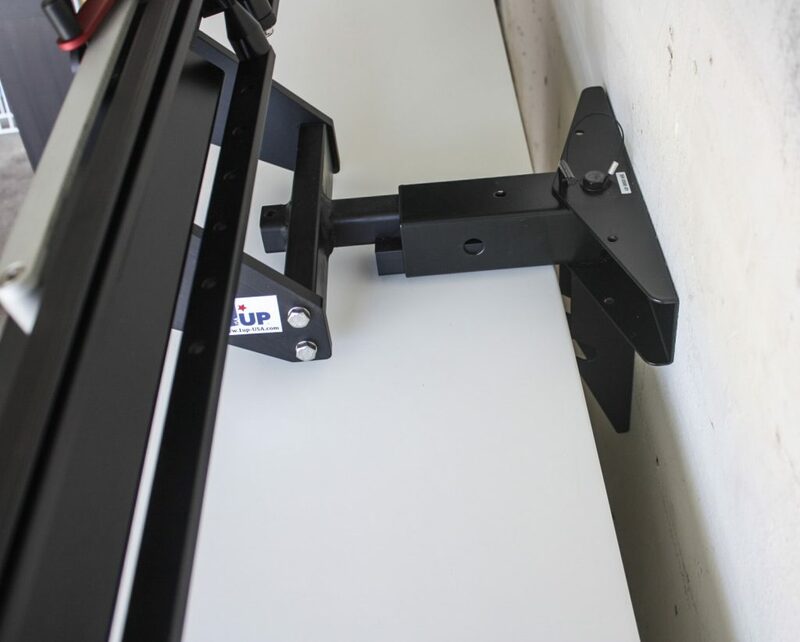 I thought an easy solution for storing my bike in the garage would be to use my existing bike rack-the 1UP USA Quik Rack. I was just missing one very important piece-a hitch for the wall. 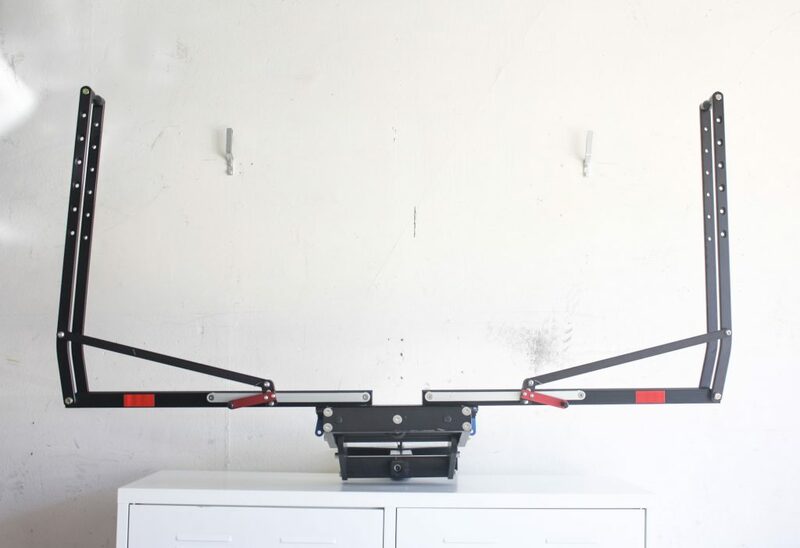 In my online search, I discovered a wall mount made by Swagman Bicycle Carriers. 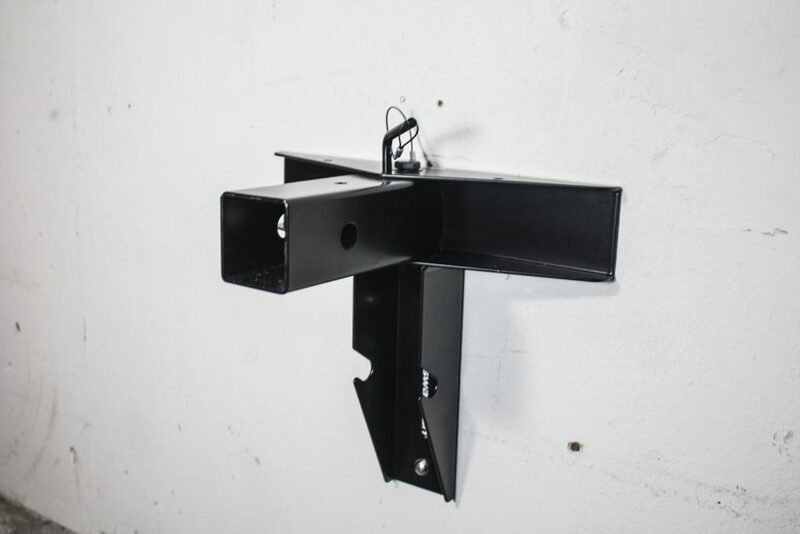 It’s a hitch that can be mounted to a wall which allows you to park your bike rack, and if you properly mount the hitch, you can use it to safely store your bike horizontally. Although the Swagman Mount comes with hardware, I recommend getting larger lag bolts around 2.5” to 3” long. The hardware it comes with is probably fine for the mount and the bike rack, but I wanted to go the extra mile since my bike was going to be resting here as well. Once the hitch is mounted, secure your bike rack to it the same way you would to the car hitch and then you’re ready for the bikes! Another amazing benefit of storing your bike this way is the option to lock your bike in the garage. Most bike carriers provide security features so the bike can’t be stolen when mounted to your car. 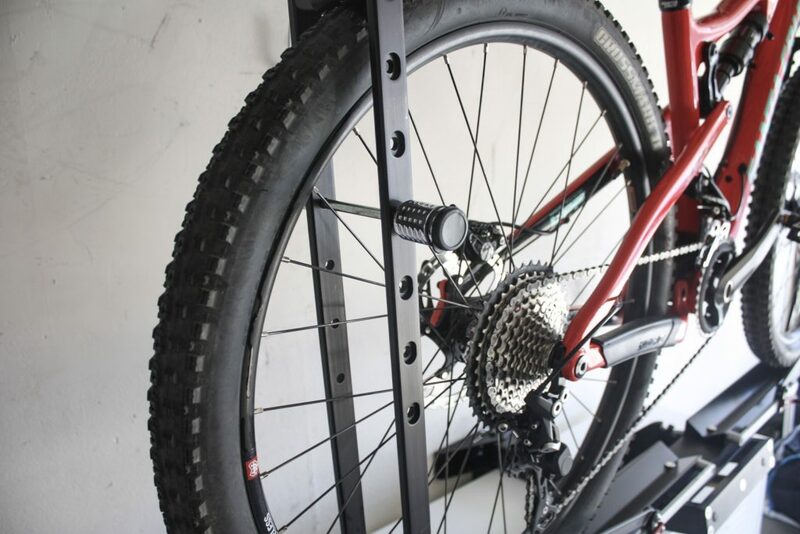 If you have any locks or cables that can secure the bike to the rack, you can use them in your garage to lock your bikes to the carriers-it adds some piece of mind for those of us that occasionally leave our garages open by accident. 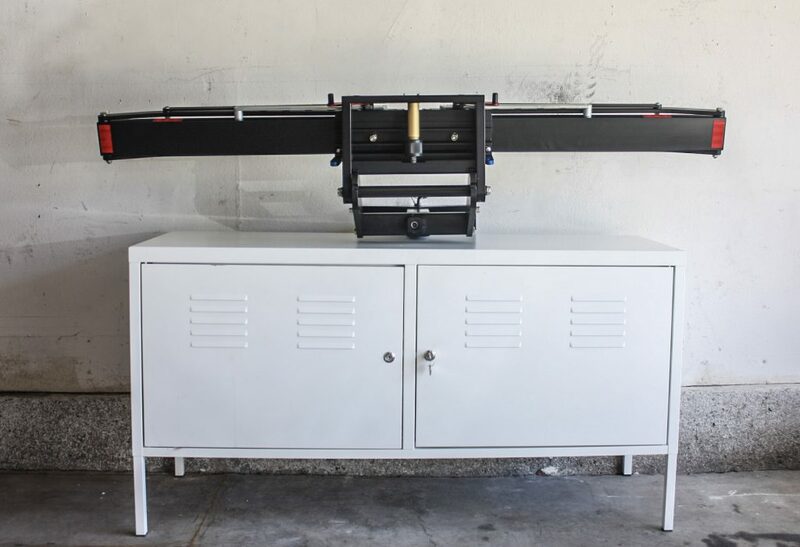 With the garage accumulating more and more gear, this is a convenient way to store bikes in the garage and display them as the work of art they truly are.